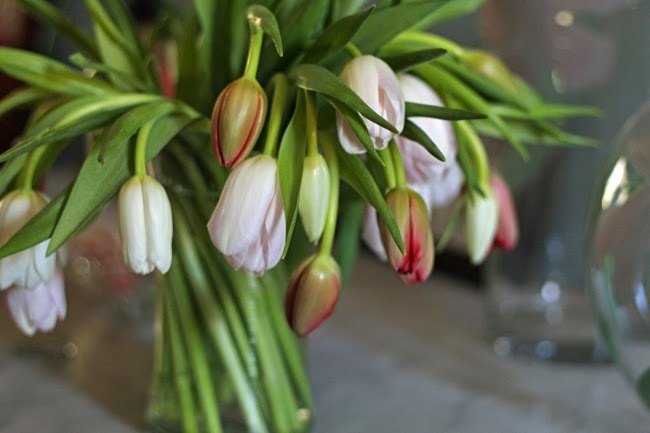 Bryn likes to be sneaky, and surprised me with a bunch of tulips for Valentine's Day (well...he tried to surprise me...the florist ruined the surprise, but that's a different story!). Regardless as to whether or not I was surprised, who doesn't love to have a big bouquet of flowers delivered to their door?!? 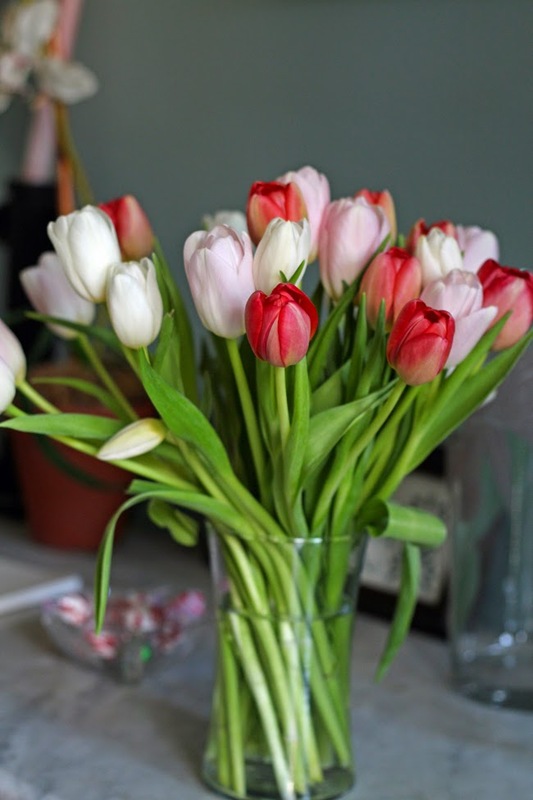 We had been texting when they arrived, so I sent off a photo of the bouquet, and said that I hoped they perked up after a bit...you see, they were a bit droopy...still beautiful, but droopy. Bryn wrote back to tell me this little trick he had heard about, and said some people swore by it for any hollow-stemed flowers. 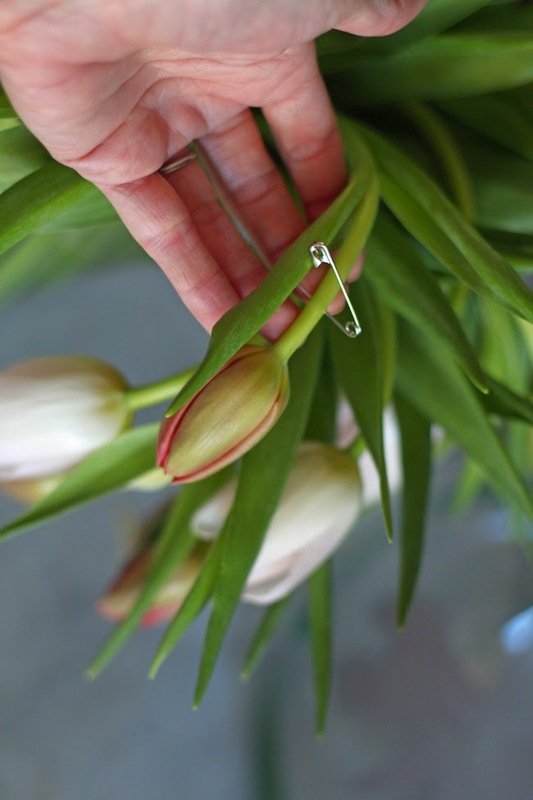 All you do it take a pin and poke a small hole straight through the stem about an inch or so below the bloom. Apparently this allows air to escape from the stem and water to get all the way up to the bloom, which in turn helps the flowers to perk up. 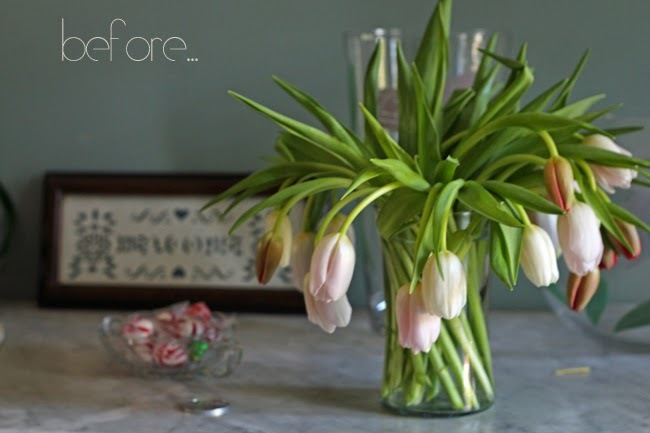 I was a bit hesitant since I didn't want to ruin my tulips, but Bryn said to give it a try. 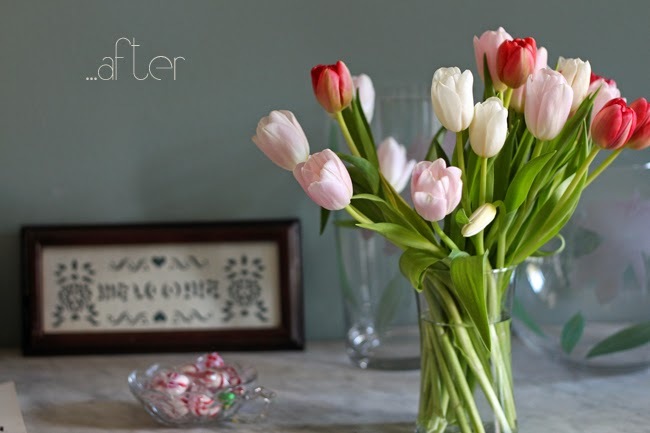 I didn't notice any change throughout the rest of the day, but I woke up in the morning to gorgeous, perky tulips! 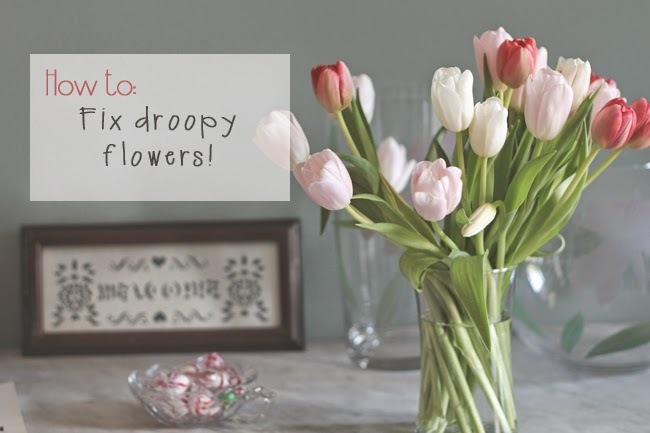 So, if you have a bunch of tulips, daffodils, gerber daisies or any other hollow seemed flower, give this little trick a try! This tip is genius! I tweeted already. :-) I am a new reader via Bloglovin'....thinking I found you via a blogspot FB group? :-) I am also a teacher and have thought about teaching overseas. How do you like UAE? My husband and I hope to slow travel once he retires from his state job in 2 years. We spend most of our summer in Galicia, Spain, which will be our full time home soon. Happy to connect. You blog is beautiful. I look forward to exploring more.